Apparent brain temperature imaging with multi-voxel proton magnetic resonance spectroscopy compared with cerebral blood flow and metabolism imaging on positron emission tomography in patients with unilateral chronic major cerebral artery steno-occlusive disease. Nanba T, Nishimoto H, Yoshioka Y, Murakami T, Sasaki M, Uwano I, Fujiwara S, Terasaki K, Ogasawara K.
Relation between brain temperature and white matter damage in subacute carbon monoxide poisoning. Sci Rep. 2016 Nov 7;6:36523. Brain temperature measured by 1H-magnetic resonance spectroscopy in acute and subacute carbon monoxide poisoning. Fujiwara S, Yoshioka Y, Matsuda T, Nishimoto H, Murakami T, Ogawa A, Ogasawara K, Beppu T.
Postoperative increase in cerebral white matter fractional anisotropy on diffusion tensor magnetic resonance imaging is associated with cognitive improvement after uncomplicated carotid endarterectomy: tract-based spatial statistics analysis. 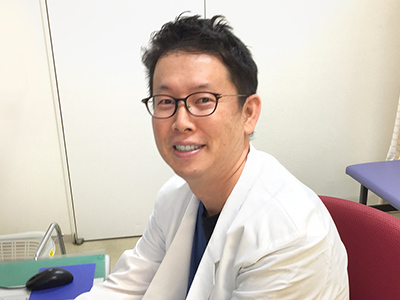 Sato Y, ito K, Ogasawara K, Sasaki M, Kudo K, Murakami T, Nanba T, Nishimoto H, Yoshida K, Kobayashi M, Kubo Y, Mase T, Ogawa A.
Postoperative changes in cerebral metabolites associated with cognitive improvement and impairment after carotid endarterectomy: a 3T proton MR spectroscopy study. Saito H, Ogasawara K, Nishimoto H, Yoshioka Y, Murakami T, Fujiwara S, Sasaki M, Kobayashi M, Yoshida K, Kubo Y, Beppu T, Ogawa A.
AJNR Am J Neuroradiol. 2013 May;34(5):976-82. Postoperative cerebral white matter damage associated with cerebral hyperperfusion and cognitive impairment after carotid endarterectomy: a diffusion tensor magnetic resonance imaging study. Nanba T, Ogasawara K, Nishimoto H, Fujiwara S, Kuroda H, Sasaki M, Kudo K, Suzuki T, Kobayashi M, Yoshida K, Ogawa A. Prediction of motor function outcome after intracerebral hemorrhage using fractional anisotropy calculated from diffusion tensor imaging. Kuzu Y, Inoue T, Kanbara Y, Nishimoto H, Fujiwara S, Ogasawara K, Ogawa A. Fractional anisotropy in the centrum semiovale as a quantitative indicator of cerebral white matter damage in the subacute phase in patients with carbon monoxide poisoning: correlation with the concentration of myelin basic protein in cerebrospinal fluid. Beppu T, Fujiwara S, Nishimoto H, Koeda A, Narumi S, Mori K, Ogasawara K, Sasaki M.
Detecting damaged regions of cerebral white matter in the subacute phase after carbon monoxide poisoning using voxel-based analysis with diffusion tensor imaging. Fujiwara S, Beppu T, Nishimoto H, Sanjo K, Koeda A, Mori K, Kudo K, Sasaki M, Ogasawara K.
1H-magnetic resonance spectroscopy indicates damage to cerebral white matter in the subacute phase after CO poisoning. Beppu T, Nishimoto H, Fujiwara S, Kudo K, Sanjo K, Narumi S, OikawaH, Onodera M, Ogasawara K, Sasaki M.
J Neurol Neurosurg Psychiatry. 2011 Aug;82(8):869-75. Brain temperature measured by using proton MR spectroscopy predicts cerebral hyperperfusion after carotid endarterectomy. Murakami T, Ogasawara K, Yoshioka Y, Ishigaki D, Sasaki M, Kudo K, Aso K, Nishimoto H, Kobayashi M, Yoshida K, Ogawa A. Assessment of damage to cerebral white matter fiber in the subacute phase after carbon monoxide poisoning using fractional anisotropy in diffusion tensor imaging. Beppu T, Nishimoto H, Ishigaki D, Fujiwara S, Yoshida T, Oikawa H, Kamada K, Sasaki M, Ogasawara K.
Choice of posterior subtemporal transtentorial approach for tumor resection in deep anteromedial superior cerebellum. Beppu T, Hirooka R, Fujiwara S, Kashimura H, Nishimoto H, Ogasawara K, Ogawa A.
Neurol Med Chir (Tokyo). 2009 Jan;49(1):42-6. Simple assessment of cerebral hemodynamics using single-slab 3D time-of-flight MR angiography in patients with cervical internal carotid artery steno-occlusive diseases: comparison with quantitative perfusion single-photon emission CT.
Hirooka R, Ogasawara K, Inoue T, Fujiwara S, Sasaki M, Chida K, Ishigaki D, Kobayashi M, Nishimoto H, Otawara Y, Tsushima E, Ogawa A.
AJNR Am J Neuroradiol. 2009 Mar;30(3):559-63. Computer-assisted identification of the central sulcus in patients with brain tumors using MRI. Uwano I, Kameda M, Inoue T, Nishimoto H, Fujiwara S, Hirooka R, Ogawa A.
J Magn Reson Imaging. 2008 Jun;27(6):1242-9. Improved geometric distortion in coronal diffusion-weighted and diffusion tensor imaging using a whole-brain isotropic-voxel acquisition technique at 3 Tesla. Fujiwara S, Sasaki M, Kanbara Y, Matsumura Y, Shibata E, Inoue T, Nishimoto H, Ogawa A.
Magn Reson Med Sci. 2007;6(3):127-32. Primary granulomatous angiitis of the central nervous system: findings of magnetic resonance spectroscopy and fractional anisotropy in diffusion tensor imaging prior to surgery. Case report. Beppu T, Inoue T, Nishimoto H, Nakamura S, Nakazato Y, Ogasawara K, Ogawa A. Prediction of cerebral hyperperfusion after carotid endarterectomy using cerebral blood volume measured by perfusion-weighted MR imaging compared with single-photon emission CT.
Fukuda T, Ogasawara K, Kobayashi M, Komoribayashi N, Endo H, Inoue T, Kuzu Y, Nishimoto H, Terasaki K, Ogawa A.
AJNR Am J Neuroradiol. 2007 Apr;28(4):737-42. Preoperative imaging of superficially located glioma resection using short inversion-time inversion recovery images in high-field magnetic resonance imaging. Beppu T, Inoue T, Nishimoto H, Ogasawara K, Ogawa A, Sasaki M.
Clin Neurol Neurosurg. 2007 May;109(4):327-34. Quantitative analysis of magnetic resonance imaging susceptibility artifacts caused by neurosurgical biomaterials: comparison of 0.5, 1.5, and 3.0 Tesla magnetic fields. Matsuura H, Inoue T, Ogasawara K, Sasaki M, Konno H, Kuzu Y, Nishimoto H, Ogawa A.
Neurol Med Chir(Tokyo). 2005 Aug;45(8):395-8. Acute intracranial hypertension due to occlusion of the brachiocephalic vein in a patient undergoing hemodialysis. Nishimoto H, Ogasawara K, Miura K, Ohmama S, Kashimura H, Ogawa A.